Wouldn’t it be nice if you could just pay a monthly subscription fee and hop on a plane as many times as you need or like? Just imagine all the places you could visit just for the day or the weekend? You would never stop traveling if you had a pass that let you board a plane as many times as you like. That would encourage so many more people to travel and increase their awareness of the world they live in. The idea would be the same as a monthly bus pass that gives you unlimited rides all month long but instead of a bus it would be a private jet. Fancy. Business travelers will tell you that hoping on a plane first thing Monday mornings is so routine that they know all the stewardess on the regular routes they fly that the crew also knows all their preferences for everything, both coming and going. The challenge with this model on commercial flights is that you have to get there early, check-in, wait in line for security check, and then wait some more before getting called onto the plane. Many major airlines offer services now where you can cut some of that wait time by a quarter, which is still not much, if you undergo a deep background check, so you don’t have to go through security each time. The airlines even go so far as to offer VIP status where you can wait in a different lobby and get a faster security check done without waiting in line. The issue to all of this though is that you still have to get there at least two hours ahead of time, which is the recommended time given my airline companies, and you still might run into delays, so the question becomes, if you have money, or your company can afford it, why not get a subscription service to flying? It saves time and money in the long fun if you fly a lot. Entrepreneurs look for problems that they can fix in order to help people. In this case, there are companies out there that are looking to make it easier to travel without all the hassle that airlines like to put people through today. Instead of having to buy your tickets way in advanced in order get a good deal, why not pay a subscription free that lets you book your flight whenever you need it. Passengers still have to go through a security check but the time it takes is so short that it barely interferes with the 15 arrival time from when you park to when you take off. The advantage to this model is that it saves time for everyone because they don’t have to deal with ticket issues, waiting in lines for everything, and boarding. Most planes fit 6 to 12 people and so without any hassle of having to load any luggage underneath, everyone is able to get on in a quick amount of time and take off right away. Beacon is one company that is like the Uber of private flight. It is interesting to learn how their business model works because they don’t exactly own any planes because they contract with another company to provide them and maintain them. This cuts down on a lot of overhead that most major airline companies have to deal with everyday. The rate is $2,250 a month for unlimited flights between New York and Boston. This company was started by the same founders as SurfAir. Another company is, SurfAir, which services only cities in California, making it faster and easier to get around. They are like the Netflix in a sense that you can use their service an unlimited number of times and still enjoy the service. The company leases a few planes in order to meet the growing demand and with the membership numbers on the rise from 300 hundred just two years ago, this is a company that is capitalizing on a growing need for business people. The membership rate starts at $1,750 a month. Rise is a company that is dominating the Texas market by offering unlimited flights between cities. Their company model allows them to contract with a carrier to provide the charter planes and outsource their maintenance. They have offer different levels of membership that can range from $1,650 to $2,650, with the top one offering the most perks for flying a month. There is one company called, OneGo, that is looking to take advantage of the commercial airlines by offering unlimited travels with major carriers. All travelers will be able to determine the level of service they need with add-on fees. A traveler will be able to make as many changes to their reservations for an additional $750 on top oft heir regularly monthly fee, which can range from $1,500 to $1,950 and those prices depend on the region of travel within the US. The awesome thing about being able to fly anytime you want is getting to travel all the time and not have to wait to hop on a plane and be in a new city. This way of traveling though is really for the higher end business people who have to travel all the time to get around so this model of flying would make sense. Right now the services are limited to geographical locations but once they open up to the whole US, more and more people will be signing up for this service than commercial flights and that right there is where the problems will start to happen. The purpose of this article is to make people aware of the new services that are being made available to people, and once more people start using the service, which is still intended for the wealthy, these companies will start to face the same problem that major airline carriers have been facing for decades; long lines, customer complaints, terrible service, and long delays. The nytimes article mention this same problem but the issue is very valid unless the companies can figure out how to avoid that very problem. It will be nice to use it in the beginning but once more people start to use it, it will feel just like regular public transportation. The idea of being able to fly unlimited is nothing new, infact, American Airlines used to offer AAirpass which were very expensive passes that granted users unlimited flights all over the world and for the wealthy people who signed up for them, they took complete advantage of them and why not? It grants unlimited flights anytime you want. To read more about the people who bought those tickets, read this story. This entry was posted in Business and tagged 6 year old surfing kid, adopt a classroom, airline booking companies, airline startup companies, airline subscription service, all you can fly airline passes, Beacon, clear airline screenings, fly all you want pass, fly anytime pass, fly unlimited flights, OneGo, Rise, startup companies, SurfAir, unlimited airline pass on October 30, 2015 by Chris. 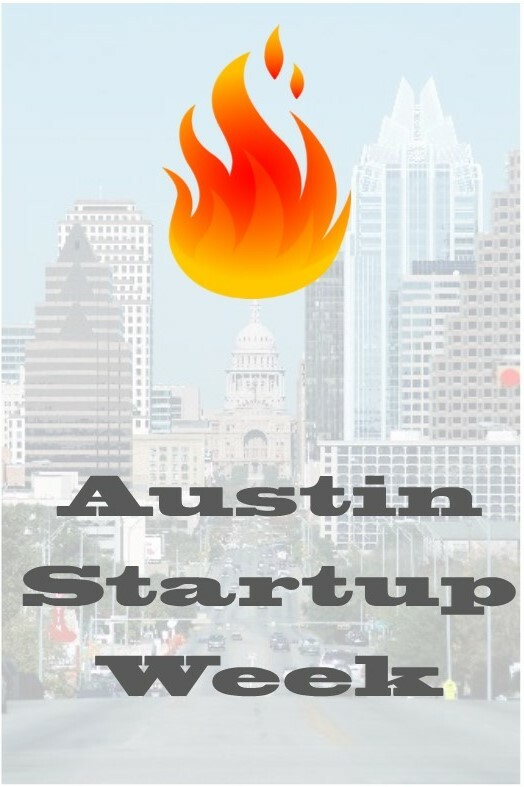 Austin startweek is a great way to get out and meet tons of new people and discover what new companies have just started. I met tons of new people, a lot from out of town and out of the country, who came just for that one week to find out what all is happening in Austin. This should tell you just how important this event was if you live in Austin. Startup week is like a mini SXSW, there are tons of events, lots of food, parties at night, and plenty of free swag and giveaways. I thought I would share with all those that missed it what companies were there and a little about what they do. The program was able to fly out 10 people to join the program to learn more about other companies. So read up on some of these great companies and if you are interested in learning more about them, shoot me an email or tweet and ask for a tour. This companies delivers multi-channel social media analytics for companies and brands that need to know which social media channels work best and how to maximize their usage. They provide a deep look at to how certain channels work and where companies should be spending their efforts. Sales commission tracking is what this company does in order to determine how to structure different commission tracking for each staff member. They can manage sales and commission in real-time in order to determine where to maximize their potential for clients. This is a fashion tech company that helps fashion bloggers and new brands deliver their content to their customers by using a logistics system to fulfill orders online. They help make it easier to deliver items for pre-order items only. This photo sharing app helps people explore the world around them with the use of photos. People are able to connect through the use of shared interests in a unique way by groups or communities. Hiring can be a difficult and costly expense for companies, so they help reduce that by helping companies grow with the use of financial tools that many companies do not have to perform on their own. This company helps traders determine the market outlook based on weather predictions. They also work with transportation companies to ensure that supply-chain operations run smoothly according to weather forecasts. This company will pay you for finding your apartment by using them as a reference. They will collect their fee from the apartment complex and split their sale with you. Many people are looking for apartments so why not get paid for it. Commercial Real-estate is a competitive field so if you are looking for space then why not use real-time data when searching? This is what Real Massive does, they help you find the best place using the most current data available with charts and data maps. Email is not going away anytime soon so this company capitalizes on the potential of email marketing for companies. They help build brands with customers through the use of email and mobile marketing. They use provide consultants to help create a personalized experience. They provide massive storage infrastructure for companies to ensure their businesses are able to perform their work and keep their customers happy knowing they can access their services 24/7. This photo sharing app lets users share private moments with friends and family in a secure manner. Trading is becoming a popular activity for many people and peeptrade lets people look at some of the top traders portfolios to learn about what they are doing on the market. This a good way to learn what other people are doing and improve your skills in the trading industry. They are a consulting and innovation technology company that helps Hollywood companies streamline their processes by using current technology in the process. Saving money is what this company is all about. They created an email program that monitors all your online purchases and if ever a price drops, or you missed a deal, from one of your past purchases then they will go and get the difference back for you. Crowdfunding is being used in different ways and this company has taken the concept and used it for real-estate funding. This company pools peoples funds together in order to invest and build infrastructure in Texas. The amazing thing about crowdsourcing is that it brings people together for all kinds of causes, including finding 3D printers in your neighborhood. This company helps connect people with 3D printers around them so if you have a plan and need it printed you can connect with them and they will help find you one. This app works on iOS and helps you discover your music library and find new music that you would be interested in listening too. It’s a new way to discover the music you love. This company will help you build a targeted list of investors and advisors so you make sure to spend your startup time wisely. The focus for this company is helping other companies improve their customer service with online chat support. They provide a variety of tools to use in order to improve the business relationship with customers online. They take the hassle out of flying by making sure Airlines follow their rules if something goes wrong. Instead of contacting the airlines about your problems you can contact this company and they will take care of everything with majority of the time you getting your money back or some kind of compensation. Many company executives are not sure all the steps they should take to run their business and books only provide so much help. Gazelles has created videos for less experienced executives to learn directly from other experienced executives with their growing library of business education. They provide cloud based video surveillance in order to ensure that help data is lost if something were to happen to your business. They offer a secure solution for watching over your most important concerns. There are billions of pieces of data online and not all of it useful in its present state. This company comes in and cleans up the data for companies to use with their systems in order to get the most out of all that information online. Building an app can be difficult if you don’t know how to code but with Chimi, they can help you get a SaaS like business or marketplace business up and running with no problems. They provide the tools you need to get started and help you every step of the way. This non-profit is designed to help bring international, US students, and volunteers to Austin Tech companies so they can take advantage of all the opportunities here. They are a global organization that also works with many other cities in providing opportunities to students. This app provides you with personalized videos that help you improve your health and fitness level. It adapts to your workouts and changes as you start to improve or fall behind. A great way to improve your lifestyle and health with a trainer that works within your level. This company specializes in real-time advertising and audience measurement in order to provide companies with data that will help them connect better with their customers. They measure and record internet traffic in order to provide accurate analytics for companies. This company rewards people with points by using local banks and businesses in the area. Anytime you sign up with a company that is partnered with them you can earn points that can be redeemed for rewards or donated to a charity. Betts is a recruiting firm that specializes in finding top talent for technology companies around the world. They world with many different departments, sales, marketing, technology, and more. They have many offices around the world to help pair great talent with startups and mature tech companies. They help provide a more reliable and amazing experience with WordPress using their technology of specialized support. If you are looking to get more out of using wordpress with all their special add-ons then they are a great host provider for your website or blog. Car rental service that uses just an app to make the order. They only use luxury Audi cars so once you show up then you can use the app to make the payment and unlock your car. The features they offer are Wi-Fi in the car, satellite radio, GPS, and fair toll tracking. They specialize in creating enterprise software for companies that range from apps to supply chain software. They look to provide an all encompassing solution to a variety of web-based solutions for any kind of business. Healthcare online solutions is a growing field so they help health organizations manage their online problems. This company provides consulting services, technology support, and logistics for many health companies that are looking to improve their services and expand. They provide data analytic tools built on python to companies in order for them to analyze, manage, and visualize big data online. They provide training, consulting, and data management for all kinds of businesses. This company compete business technology support. They can set up offices for IP phone, printers, computers, network, setup servers, and routers complete business support. They are the IT solution for small to mid-size companies. Many companies do not know how to protect themselves against cyber attacks because they are not sure where they will strike. This company creates simulated attacks in order for the company to improve their systems and learn where their potential gaps are that attackers can use to get in. Collecting stories from family and friends online and putting them into a hardcover book is what this company does. You provide the content and material and they will help organize all your stories and events into one nice elegant book. They provide internet and phone connectivity for businesses in several major cities. They help provide the setup infrastructure for your businesses and make it easy to switch providers. Children are able to create their own fantasy playscape in an app and then this company will build what that child created and ship it to their house. The child is able to customize every part of their new environment, including putting art and characters on their design and even their name. This company provides a visual directory of employees in any size company. This helps to determine what person works in what department and who their manager is and the people the are connected with on projects. They take a regular company directory and make the whole system visual. A very important tool in understanding how companies are structured. They have taken the old method of writing letters to students in other countries and updated the process for the digital world. Students can write letters but also email and collaborate with other classrooms through special curriculum and activities in order to learn about each other’s culture. Streamlining the process of healthcare makes it easier for patients to get the help they need on their own time. This company provides a service where patients can send in videos and photos of their conditions and a doctor can review it and even prescribe medication to the patient, if needed. This helps reduce costs and increase access to healthcare. Their software helps franchise owners manager several different store location. Managers are able to manage schedules, employees, equipment, and sales all with this one-stop shop enterprise software. It handles a variety of issues that are common for administrative staff to deal with on a daily basis. This company specializes in providing remote management software in order to keep track of certain devices but also to control any IP connected device with this software. This allows anyone, even companies, to control devices at their workplace or home that is connected and has an IP address. This company works on a B2B model and provides catering to businesses for their office staff and special events. They work with a variety of restaurants so they make it easy to select from your favorite restaurant and deliver it right to your office on time. They help companies grow by making it easy to provide perks and services to their employees in order to show appreciation. Their app provides a growing list of benefits that any employee can use where ever they are. A food delivery company that provides healthy meals for just $10. This company will deliver meals as often as you like and the menu changes daily so you never have the same meal twice. The cost of each meal includes the delivery fee, tax, and tip. This company provides the hardware and software for monitoring your homes energy usage so you can make sure that your electricity bill is correct. The software also gives you control over connected devices so you can make sure everything is running the way you want it to run. They provide apps on all your devices so you can keep track of everything. They help provide secure video visits with doctors by also making sure they receive full reimbursement for their participation in the program. This helps patients receive faster healthcare service. This company provides a connection between freelance engineers and designers with small businesses and startups. They act as a middleman between the two who are looking for work and companies that need to hire for short-term projects. They provide a platform for marketers to access large amounts of consumer data in order to understand more about their online habits and behavior. They help clean up data and make it easier for marketing companies to work with what they offer. They provide cloud infrastructure for data centers and network points of presence for global companies. Their services are offered for a variety of clients including startups and large corporations. They help people find a job with many leading companies online. Job finders can fill out a series of questions and then they will send out the information to companies looking to hire, if they find a match, companies will contact the job finder with offers. Management and Tech Consulting film for government departments, corporations, and non-profits. They work in a variety of fields to help companies meet their needs and find solutions. They help providing funding initiatives for startups in Israel and global companies. The company provides a platform for people to crowdfund selected projects. They offer open source Java platform with e-commerce services for companies that work with the spring framework. Their services are easily customizable for any kind of enterprise solution. Their services make it easy to determine the how effective a PR campaign went online based on analytic results and data mining online. They provide accurate and real-time information for both marketing and PR firms in making sure their efforts pay off. They help retailers understand all the data points of their business by giving them insight as to how everything is operating correctly, from inventory to point-of-sales and customer relations. Their SaaS model helps many multi-unit enterprises manage their day-to-day operations better. They help create email and content marketing campaigns for businesses. They also offer social media help by automating many of the regular processes so you can focus on your business management. This company helps make the process of selling your car simple and easy. Their company will come out and inspect your car and provide you with a no-obligation quote. They even pick up your car and pay you if you are interested in their offer. All the paperwork is handled through their services. It was exciting to meet with all these companies last week and learn about all the new and exciting companies that are growing up around the Austin area and Texas. For anyone looking for a job many of these companies are hiring so now is a good time to take advantage of these successful startups that need more staff to help them run their day-to-day operations. I always say that nothing will ever come to you if you just stay at home so these events show that you are serious about joining the startup culture and meeting the kind of people who follow through on their word. If anything you might connect with some up-and-coming star in their company that is looking for more connections in the startup world. This entry was posted in Business and tagged AIESEC, air help, Alcon DTS, Assist 2 Develop, austin businesses, Austin Startup week, Austin Startups, Betts Recruiting, Booz Allen Hamilton, broadleaf commerce, build list of advisors, build lists of investors, buzz points, buzzpoints, chiron health, commission sales tracking, continuum analytics, datafiniti, demand food, dime social, dimesocial, eagle eye networks, energy curb, Gazelles growth institute, goodybag, help chat support, Hired, ihiji, investor sheets, jam on app, lumeris, mag rabbit, magrabbit, makexyz, manager complete, md portal, networking events, new companies in Texas, online trading, OnPrem solution partners, our crowd, ourcrowd, outbound engine, paribus, peddle, peeptrade, penpal schools, pic jam, pic jam app, pingboard, pivot 3, popup play, popup play toy, postup, quantcast, Rail Yard, real massive, Rent rebate, risk pulse, riskpulse, silver car, silvercar, skip the hire, social media analytics, softlayer, square root, startup companies, startup culture, startup help, startups, the air helper, thread photo app, trendkite, trunkist, Umbel, union metrics, verzana Io, Weeva, WP Engine, Your Trainer app on October 14, 2015 by Chris. If you have anything to do with the startup scene or entrepreneurship scene in Austin or Texas, then you will not want to miss out on all the amazing stuff happening this week. There will be tons of happy hour parties going on every night this week including a look at all the new companies starting up. And why not? Austin has topped the growth charts in the US by WalletHub in a recent study. This is the scene to be in for anyone that wants to be apart of starting their own business and connecting with others who will help them do that. Remember if you are a solo leader who is looking to get experience, this is where you want to spend your time since most startup programs favor group startup founders. Use this as the time to find your next co-founder. Here are a few tips I have to getting the most out of all the events happening this week. If you need more networking tips just click the link. 1. Clear your schedule this week and make it a point to throw yourself into all the events. Even if you are still unsure about what kind of company you want to start, everything you learn from all these events will help prepare you for what will be expected of you when you do get started. 2. Don’t wait for anyone, just go. The excuse a lot of people give themselves when thinking about an event as big as this one is that they have no one to go with. You are an adult so you need to make adult decisions on your own and that means going to places on your own. Plus if you get into a great crowd of people and your friend decides it is not for them you will feel obligated (which you shouldn’t) to leave with them. Go and leave all the social pressure of friendships at home. 3. Expect nothing. If you walk into any event this week with that mindset you won’t be disappointed if nothing happens but if you walk away with a few new contacts who can help you get started then that should be a sign that good things are to come. Many people attend these kinds of events with large amounts of pressure to get something out of it and when they leave with nothing they feel let down. Don’t walk in with that mindset except just meeting new people and asking lots of questions. 4. Dress nice and bring business cards. They say the clothes makes the man but in all honesty it doesn’t hurt to dress nice. People feel more comfortable around people who dress nice because it says that they are ready for something. Yes, the startup scene is centered around relaxed clothes but you don’t need to wear an expensive business suit, just some nice pants and shirt should do just fine. Also make it easy for people to contact you afterwards with some professional cards. 5, When in doubt, walk up and say hi. Events like this are hard for a lot of people because of social phobias but the reality is that the only way to meet people is by going up to them and saying hi. If you just attend and leave right afterwards you are missing out on the good stuff that happens after the talk. Stick around and find others who are just standing around and introduce yourself. You might just make a new contact. 6. Visit all the tech hubs. Downtown is the place to be for all the tech hype so while you are downtown make it a point to visit all the top places in Austin for the startup culture. WeWorks on congress, Capital Factory in the Omni Hotel, and TechStars (Open house Tues 9 am) on congress. The Austin Startup scene is a lot of fun for those without any tie downs. If you can make it, go and attend all the workshops that are free, which is close to all of them. There will be parties, free swag, lots of food and drinks, and best of all, new people to meet and new companies to discover. Click on the links below to look at the schedule, and be sure to get your meetup account and eventbrite account ready because you will need them to sign up for events, plus you will need an account for other startup crawl events. There is an article that helps you find the top events to attend if you are unsure where to start. Enjoy yourself and don’t forget to follow up with all the new people you meet this week! This entry was posted in Notice and tagged austin business journal, austin businesses, austin developers, austin entrepreneurs, austin entrepreneurship, austin startup crawl, austin startup culture, austin startup scene, austin startup scene 2015, Austin Startup week, austin tech city, austin top growth city, capital factory, entrepreneur, entrepreneurship, getting into the startup scene, Hired, how to networking an event, launching a startup, netspend, networking tips, start a company, start your company in austin, startup companies in austin, startup companies in texas, startup culture, Taecho Group, techstars, WeWorks on October 5, 2015 by Chris. It should come as no surprise that the number of friends and professional connections you have affects your health in life. The more social you are, the more people you have looking out for you. The more connections you have in life the more you are aware of what is happening around you. We all like to think that we don’t need anyone else in life to help us because we feel that we are bothering that person but the truth is that when you create a healthy relationship with someone where the give and take are roughly equal, in a sense, then you will see that we very much need people in our lives. The truth of the matter though is that our social circles also affects our career options in life. Our social life is directly linked to our health which means the more events you attend and the more people you meet, the more energetic you are to get out and meet more people. Social fears and phobias develop in youth when a child is prevented from going out and exploring the world on their own. They never learn social skills by learning to strike up conversations with strangers. The problem with the age of 18 is that society somehow thinks its a magical number where someone just is expected to know how to deal with everything in life all of a sudden because they turned 18; not if they are not allowed to learn and do things on their own before then. Many young adults, and people in general, feel they are socially awkward and rather than risk looking like a fool in front of other people they just stay home and watch on-demand entertainment (a habit that is destroying traditional TV watching). The reason Dale Carnegie made a huge success on his books was because he first tapped into the area of social-psychology by teaching people how to interact with one another and showing them how to make friends by using very simple techniques. Those same skills are still being taught today in seminars and workshops which can cost a lot of money. So why don’t schools focus on teaching students social skills that literally can make or break one’s whole life experiences? The reason? It’s too soft a skill to teach and many certain groups of people would feel that their children are being brain-washed by some left or right wing thinking. How sad. It’s no surprise that people with the jobs they like the most are usually connected to a number of other people. For example, Bob in senior accounting will let his best friend know there is an opening coming soon and that if his friend wants to apply he should send his stuff right away to so and so. Study after study keeps confirming that the more people you know the easier it is to get a job. Infact, it has been proven that the more social people are in school the higher their success rate later in life. You can read here for some networking career tips here from Yale’s career center on how to get better at networking. The great thing about school is that you are constantly surrounded by people so it is easier to make connections, find out what is happening in your community, and learn about job opportunities faster. Group projects enable people to make new connections and learn about people’s strengths and weaknesses. The schools that create the best creative people focus on group projects for all their work because it gets people to learn to work together and maximize their strengths but also connections. Teens and young adults are exposed to a number of new people daily because of their school life so the number of opportunities in life is dependent on the number of friends they have and the connections of their friend’s friends. The interesting thing about social groups is that they get smaller as you get older because life switches from doing school daily for 12 years surrounded by a lot of people to going to college and learning more but in a less crowded manner. In school you have people around you all the time that you know, whereas, in college you are surrounded by a lot of people you don’t know so your social circle shrinks. This is why they say to join student organizations because it will help you make new friends with people who share your same interests. After college your social circle shrinks again because you are constantly working and have less time to spend with friends. Your friends social time also shrinks because they might be more focused on career goals and might be starting a family. 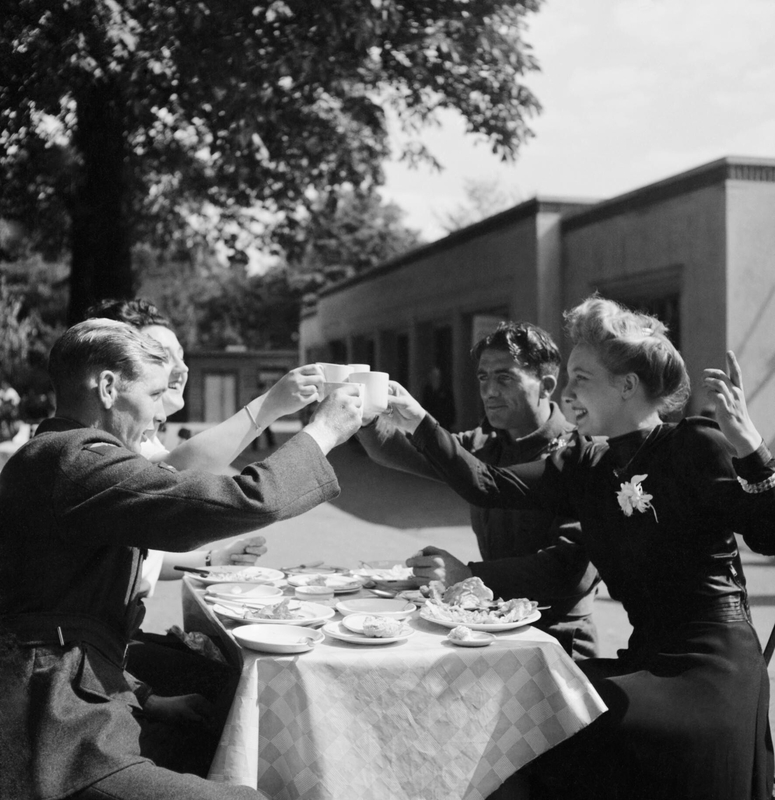 Social groups change from the teens to the 20s and the 30s, from large groups of people to smaller groups to pairs. This kind of social shock for some can limit people’s social opportunities. The people who are not tied down enjoy more opportunities in their life and career because they do not have to discuss their decision with anyone else. They advance faster in their career and can travel more. The challenge with getting older though is that it does get harder to make new friends because there are less opportunities to join organizations and meet people if you are not social. This is why the website meetup.com is so huge because it allows people to find groups of people with similar interests but for many though it can still be a challenge just to show up to one because of social phobias. But if everyone has them why not make the first move by introducing yourself? In college you have to be more forward in order to talk with other people otherwise you will be left by yourself most of the time. You cannot expect other people to approach you so you have to get out and do stuff and many times just go right up to people and say, “hi.” The last part is a huge challenge for majority of people because of fear. In the workspace it can get a litter easier to strike up a conversation with someone because everyone works for the same employer making it easier to have something to say in the beginning. It is not uncommon to develop work friendships because everyone is working on the same projects and have something to talk about afterwards. Then Ttere are those groups of people who just want to come in and impress the boss so they work longer hours, finish their work faster, and get more done at the expense of talking to people and making friends. People who work in the same job for many years risk losing the understanding of what it takes to find a job. They expect that they will always have the same job. Those are the people who will have a culture shock when they are finally let go and have to find a new job again. The challenge with that is that they do not realize that after all those years they should have been making more friends and connections and updating their skills in order to stay marketable to other companies instead of working hard all the time and ignoring social outings with co-workers. The risk with getting too comfortable in your current job is that you can lose your job at anytime and have nothing to show for what you’ve done. The connections you make in your 30s and 40s have a huge impact on your employment in your 50s and 60s when it is harder to employ older individuals. Again this is an area that most people do not spend time thinking about because they are too focused on themselves for anything. The myth that if you just do your job really well and meet all your deadlines your company will reward you with a promotion, bonus, and job security. Job security isn’t real anymore and everyone is at risk for losing their job at any moment. In many cases the people who finish their assigned work the fastest might make it harder for the company to find them work to do and see a reason for demoting you to part-time instead of full-time or just hiring on a case-by-case basis. This can come as a shock to someone who believed that as long as they did what was asked of them, they would be rewarded. That is just not the case anymore. Researchers, Connie Wanberg, Ruth Kanfer, Darla J. Hamann, and Zhen Zhang went through many studies across different disciplines to analyze social behavior on employment and what they found was that people who are younger tend to be unemployed for shorter periods of time than older individuals. This is all due to the fact that younger people are exposed to more social groups and interact with more people on a daily basis so they hear about more opportunities faster. Older individuals, on the other hand, are unemployed longer because of the nature of many things, including their social circles, which tend to be smaller because they value the quality of certain relationships more than maintaining larger groups of friendships. The other issue is that older individuals are out of touch with the ways of finding a job in today’s economy. If a person in their 50s and 60s, and maybe even 70s were to look for a job they would have to understand that they will not find it in any kind of newspaper or walking door-to-door to shops and businesses. They will have to learn how to perform certain actions that are common in the workplace now that were not taught when they were in school. The number of social connections gets smaller as people get older and the only way to fix that is by maintaining the ones you have now and going out and meeting more people. The results of the researcher’s study found that if you want to make it easier on yourself for finding a job when you are older, you need to maintain the relationships you have at work and outside in your 30s and 40s so that you have connections to new job opportunities in your 50s and 60s. Those friendships from long ago will help you manage new job opportunities in the future. Infact, older people are realizing that with the new gig economy happening, they can find new sources of income that can help offset the growing costs of living. This is very important to learn because it can mean an improved way of living. For others who still want to continue working, it is helpful to understand the importance of always meeting new people in life. In the movie, The Intern, a older man realizes that retirement is not all what he hoped it would be. He spends time with a few people but he knows his time could be better spent working again. The long days of having nothing to do got to him so he applied for a job. He found a flyer looking for older people who would like to work for a startup fashion company. He took the information and called them up. In the movie you see this man grow his social circle by ten-fold and make new friends. He quickly realized how outdated his technical skills were but not his executive skills. Many older people will enjoy this movie because for some it will strike a chord in their heart in knowing that they would like to work again like they used to when they were younger. The other part that is touching about the movie is that the older man watches how frantic all these young people are working knowing what is at the end for all of them. I thoroughly enjoyed the film because no matter where you work, there will always be someone there after you to fill in the spot so rather than focus on putting in the long hours, one should focus on the friends they will make everywhere they go because you never know when you might need to call on that person for a favor or a lead to a new job later on in life. Do yourself the favor of going and seeing this movie because it has so many interesting things to say about the workplace for older people who are can still provide value. If you are stuck about how to improve your social circle, look back at some of my past articles on networking but start first with Never Eat Alone and The Fine Art of Small Talk. Those should help you get started. You can look in the book section of this website to find out other books to read on networking. This entry was posted in Business, Health, Lifestyle, Networking and tagged amazon doesn't make a profit, Collaborative consumption, Connie Wanberg, creating large things from small things, Darla J. Hamann, finding a job, finding a job when your older, friends help you find work, friends improve your health, friendships matter, gig economy, how to find a job for senior citizens, improve your social circle, job networking, jobs for older people, Keith Ferrazzi, less friends when your older, number of social connections, quality job search process, Ruth Kanfer, social evolution in the workplace, social groups, social groups for senior citizens, The Intern movie, Zhen Zhang on October 2, 2015 by Chris.